Australia must move beyond our obsession with the US versus China debate and to once again make the ASEAN region our priority. Both sides of politics have said they will do so in recent months, and the option will be highlighted at the Prime Minister's "special summit" with all the ASEAN leaders, to be held in Sydney in March. It is probably the most prudent policy direction for Australia in a time of deep uncertainty. But there are challenges. Australia has grown and grown over the past decades – but we have grown more slowly than others. Compared to the 1970s – when Australia became ASEAN's first-ever "dialogue partner" – our economy is now far smaller than the total ASEAN economy, and our military advantage is reduced. We have to compete for influence in Southeast Asia in new ways. 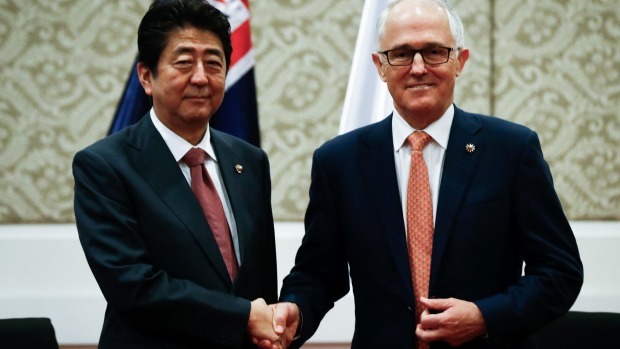 Not only have Japan and China become massive economic partners for the region, but South Korea – a minor economy in the 1970s – is now more important than Australia. The diminished position of the US, our much-proclaimed ally, adds to the regional challenge. Navigating differences in perspectives and values will also be critical as we seek to achieve our ASEAN objective. Some of these differences were apparent at the end of last year at the ASEAN-Australia-New Zealand Dialogue in Kuala Lumpur and the Council for Security Cooperation Conference in Chiang Mai. An influential view in ASEAN places high value on ideological tolerance – on a willingness to engage with anyone irrespective of ideological differences. The recent Foreign Policy White Paper's promise to "work more closely with the region's major democracies" suggests significant difference from this ASEAN approach. The news that senior officials from Australia, Japan, India and the United States met in Manila recently to discuss closer "quadrilateral" cooperation inevitably sharpens the sense of a pro-democracy gang-up on China. This development further troubles some ASEAN commentators. Two images that have dogged Australia's engagement in Southeast Asia are "White Australia" and "Deputy Sheriff" – the first is gradually being countered but the "Deputy" label remains frustratingly sticky. Of course, we have long had a foreign policy tailored to Australian rather than American interests. This point needs to be spelt out and repeated in Southeast Asia – especially when the White Paper highlighted the need "to broaden and deepen our alliance cooperation". A further area where we have some explaining to do is the priority the Australian government gives to the "Indo-Pacific". Insisting the "Indo-Pacific" is the region of "primary importance to Australia" may seem a non-controversial innovation in Australia's foreign policy rhetoric. But in some quarters in China and Southeast Asia, the term conveys an anti-China mindset. The stress on the two oceans also excludes – or drowns out – the term "Asia", which is given prominence in Chinese and ASEAN commentary. Australia has reiterated time and again its commitment to the East Asia Summit but may now be viewed as wishing to create a competing, wider regional focus. Prime minister Kevin Rudd's 2008 attempt to launch an "Asia-Pacific Community" is remembered as being hostile to ASEAN-led institutions. It is therefore imperative to highlight now that "Indo-Pacific" does not mean Australia has new plans to bypass ASEAN. Another terminology issue – evident in the white paper's overview – is our tendency to refer to "Southeast Asia" not "ASEAN". It is important to explain that Australia is not intending to convey disrespect toward the region's project of building a strong ASEAN community. Turnbull's March 2018 Australia ASEAN Special Summit should both symbolise, and provide an opportunity to spell out, Australian support. Finally, ASEAN speakers at the recent regional meetings tended to be less suspicious of China, including the Belt and Road Initiative, than Australians. Having had centuries of experience in handling China, ASEAN has favoured a policy of signalling support for China-led projects, and only then arguing hard about the details. ASEAN speakers do not advocate a subservient approach; they could not be dismissed as "panda-huggers". They aim at smart accommodation, not confrontation with China. Listening to ASEAN thinking is essential if Australia aspires to be ASEAN's "leading partner", as the government states. Willingness to listen will help lift our influence in the region – and we might even benefit from learning more about ASEAN strategies.